The ProXPN VPN service gives a professional appearance with its detailed website, which is easily understandable and the same has been endorsed from CNET and Lifehacker. With a positive impression at the first sight, this VPN service lacks in an important aspect of the service, which is the speed of the connection with an average performance over the tests. Various impressive features are provided along with this VPN service, which are discussed below. This VPN service is available with a choice of two packages, a limited free subscription and a paid full subscription. The users of the free service are restricted in terms of bandwidth, limited choice of servers restricted to desktop users only. The premium package, on the other hand, is available with 3 different plans for monthly, semiannual and an annual subscription. The monthly pack is available at a cost of $9.95, the semi annual pack is offered at a cost of $49.95 and the annual pack is priced at a rate of $74.95. All the premium subscription plans are accompanied by a 7 day trial offer, which allows users to cancel the subscription within 7 days of activation, without any risk of money loss. The detailed website of this VPN Service contains valuable information regarding the security of the connection. This service is offered with OpenVPN and PPTP protocols secured by a 2048-bit encryption. User logs for the last 14 days of user connections are maintained by the company, but the service provider doesn’t release any user related information. The registration process for this VPN service is simple, which requires only the necessary user information and the process takes only a few seconds for completion. Installing the client available for this service also seemed to be simple, which asks for log in credentials after installation. On logging in, various servers are made available to the user to select from. This client offers flexibility to the user for shifting to other available servers from the one connected easy and simple. A test was conducted with a 7 Mbps for the speed of the connection with different servers made available by the company. The New York based server showed a significant drop, where the Amsterdam and London based servers showed a little less drop. Thus, overall these tests resulted in average performance. The list of operating systems covered under this VPN’s support list includes Windows, Android, Mac and iOS. 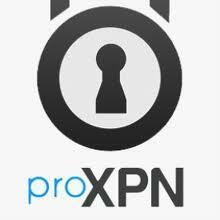 The ProXPN VPN service is among very few services that support their customers with a contact number along with an email address for support to technical issues. The twitter feed from the company is regularly updated to provide the latest information and support customers of the service. The customer area offers access to raise a support ticket based query. Although, no mention for 24*7 support is there, but an immediate response to a test query was observed. Overall, the ProXPN VPN connection offered a very good VPN service with excellent customer support and security measures along with a detailed by friendly website. The only lacking point found with this service was the drop in the speed of the connection.